For the singer, see Aaliyah. For other uses, see Aliyah (disambiguation). Aliyah (US /ˌæ.lɪ.ˈɑː/, UK /ˌɑː.li.ˈɑː/; Hebrew: עֲלִיָּה‎ aliyah, "ascent") is the immigration of Jews from the diaspora to the Land of Israel (Eretz Israel in Hebrew). Also defined as "the act of going up"—that is, towards Jerusalem—"making Aliyah" by moving to the Land of Israel is one of the most basic tenets of Zionism. The opposite action, emigration from the Land of Israel, is referred to in Hebrew as yerida ("descent"). The State of Israel's Law of Return gives Jews and their descendants automatic rights regarding residency and Israeli citizenship. Successive waves of Jewish settlement are an important aspect of the history of Jewish life in Israel. 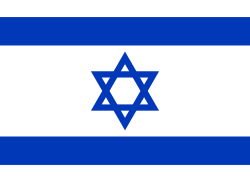 Eretz Yisrael ("Land of Israel") is the Hebrew name for the region known in English as Israel. This traditional Hebrew toponym, in turn, has lent its name to the modern State of Israel. Today, most aliyah consists of voluntary migration for ideological, economic, or family reunification purposes. "Olim" redirects here. For other uses, see Olim (disambiguation). Aliyah is an important Jewish cultural concept and a fundamental component of Zionism. It is enshrined in Israel's Law of Return, which accords any Jew (deemed as such by halakha and/or Israeli secular law) and eligible non-Jews (a child and a grandchild of a Jew, the spouse of a Jew, the spouse of a child of a Jew and the spouse of a grandchild of a Jew), the legal right to assisted immigration and settlement in Israel, as well as Israeli citizenship. Someone who "makes aliyah" is called an oleh (m.; pl. olim) or olah (f.; pl. olot). Many religious Jews espouse aliyah as a return to the Promised land, and regard it as the fulfillment of God's biblical promise to the descendants of the Hebrew patriarchs Abraham, Isaac, and Jacob. Nachmanides (the Ramban) includes making aliyah in his enumeration of the 613 commandments. Sifre says that the mitzvah (commandment) of living in Eretz Yisrael is as important as all the other mitzvot put together. There are many mitzvot such as shmita, the sabbatical year for farming, which can only be performed in Israel. In Zionist discourse, the term aliyah (plural aliyot) includes both voluntary immigration for ideological, emotional, or practical reasons and, on the other hand, mass flight of persecuted populations of Jews. The vast majority of Israeli Jews today trace their family's recent roots to outside the country. While many have actively chosen to settle in Israel rather than some other country, many had little or no choice about leaving their previous home countries. While Israel is commonly recognized as "a country of immigrants", it is also, in large measure, a country of refugees. 2 Chronicles 36:23 (KJV) Thus saith Cyrus king of Persia, All the kingdoms of the earth hath the LORD God of heaven given me; and he hath charged me to build him an house in Jerusalem, which [is] in Judah. Who [is there] among you of all his people? The LORD his God [be] with him, and let him go up. The number of Jews migrating to the land of Israel rose significantly between the 13th and 19th centuries, mainly due to a general decline in the status of Jews across Europe and an increase in religious persecution. The expulsion of Jews from England (1290), France (1391), Austria (1421), and Spain (the Alhambra decree of 1492) were seen by many as a sign of approaching redemption and contributed greatly to the messianic spirit of the time. The messianic dreams of the Gaon of Vilna inspired one of the largest pre-Zionist waves of immigration to Eretz Yisrael. In 1808 hundreds of the Gaon's disciples, known as Perushim, settled in Tiberias and Safed, and later formed the core of the Old Yishuv in Jerusalem. This was part of a larger movement of thousands of Jews from countries as widely spaced as Persia and Morocco, Yemen and Russia, who moved to Israel beginning in the first decade of the nineteenth century—and in even larger numbers after the conquest of the region by Muhammad Ali of Egypt in 1832—all drawn by the expectation of the arrival of the Messiah in the Jewish year 5600, Christian year 1840, a movement documented in Arie Morgenstern's Hastening Redemption. Between 1882 and 1903, approximately 35,000 Jews immigrated to the southwestern area of Syria, then a province of the Ottoman Empire. The majority, belonging to the Hovevei Zion and Bilu movements, came from the Russian Empire with a smaller number arriving from Yemen. Many established agricultural communities. Among the towns that these individuals established are Petah Tikva (already in 1878), Rishon LeZion, Rosh Pinna, and Zikhron Ya'akov. In 1882 the Yemenite Jews settled in the Arab village of Silwan located south-east of the walls of the Old City of Jerusalem on the slopes of the Mount of Olives. Between 1904 and 1914, 40,000 Jews immigrated mainly from Russia to southwestern Syria following pogroms and outbreaks of anti-Semitism in that country. This group, greatly influenced by socialist ideals, established the first kibbutz, Degania Alef, in 1909 and formed self-defense organizations, such as Hashomer, to counter increasing Arab hostility and to help Jews to protect their communities from Arab marauders. Ahuzat Bayit, a new suburb of Jaffa established in 1909, eventually grew to become the city of Tel Aviv. During this period, some of the underpinnings of an independent nation-state arose: Hebrew, the ancient national language, was revived as a spoken language; newspapers and literature written in Hebrew were published; political parties and workers organizations were established. The First World War effectively ended the period of the Second Aliyah. Between 1919 and 1923, 40,000 Jews, mainly from Eastern Europe arrived in the wake of World War I. The British occupation of Palestine and the establishment of the British Mandate created the conditions for the implementation of the promises contained in the Balfour Declaration of 1917. Many of the Jewish immigrants were ideologically driven pioneers, known as halutzim, trained in agriculture and capable of establishing self-sustaining economies. In spite of immigration quotas established by the British administration, the Jewish population reached 90,000 by the end of this period. The Jezreel Valley and the Hefer Plain marshes were drained and converted to agricultural use. Additional national institutions arose such as the Histadrut (General Labor Federation); an elected assembly; national council; and the Haganah, the forerunner of the Israel Defense Forces. Between 1924 and 1929, 82,000 Jews arrived, many as a result of anti-Semitism in Poland and Hungary. The immigration quotas of the United States kept Jews out. This group contained many middle-class families that moved to the growing towns, establishing small businesses, and light industry. Of these approximately 23,000 left the country. A page from a passport issued by the Polish Republic in 1934 to a couple of Jews who decided to emigrate to Mandatory Palestine. 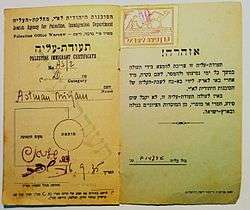 Palestine immigrant certificate issued in Warsaw (16-9-1935) by the Jewish Agency. Between 1929 and 1939, with the rise of Nazism in Germany, a new wave of 250,000 immigrants arrived; the majority of these, 174,000, arrived between 1933 and 1936, after which increasing restrictions on immigration by the British made immigration clandestine and illegal, called Aliyah Bet. The Fifth Aliyah was again driven almost entirely from Europe, mostly from Eastern Europe (particularly from Poland, Germany, Austria, and Czechoslovakia), but also from Greece. A small number of Jewish immigrants also came from Yemen. The Fifth Aliyah contained large numbers of professionals, doctors, lawyers, and professors, from Germany. Refugee architects and musicians introduced the Bauhaus style (the White City of Tel Aviv has the highest concentration of International Style architecture in the world with a strong element of Bauhaus) and founded the Palestine Philharmonic Orchestra. With the completion of the port at Haifa and its oil refineries, significant industry was added to the predominantly agricultural economy. 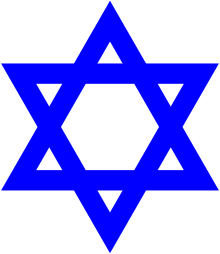 The Jewish population reached 450,000 by 1940. At the same time, tensions between Arabs and Jews grew during this period, leading to a series of Arab riots against the Jews in 1929 that left many dead and resulted in the depopulation of the Jewish community in Hebron. This was followed by more violence during the "Great Uprising" of 1936–1939. In response to the ever increasing tension between the Arabic and Jewish communities married with the various commitments the British faced at the dawn of World War II, the British issued the White Paper of 1939, which severely restricted Jewish immigration to 75,000 people for five years. This served to create a relatively peaceful eight years in Palestine while the Holocaust unfolded in Europe. The British government limited Jewish immigration to Mandatory Palestine with quotas, and following the rise of Nazism to power in Germany, illegal immigration to Mandatory Palestine commenced. The illegal immigration was known as Aliyah Bet ("secondary immigration"), or Ha'apalah, and was organized by the Mossad Le'aliyah Bet, as well as by the Irgun. Immigration was done mainly by sea, and to a lesser extent overland through Iraq and Syria. During World War II and the years that followed until independence, Aliyah Bet became the main form of Jewish immigration to Mandatory Palestine. Following the war, Berihah ("escape"), an organization of former partisans and ghetto fighters was primarily responsible for smuggling Jews from Poland and Eastern Europe to the Italian ports from which they traveled to Mandatory Palestine. Despite British efforts to curb the illegal immigration, during the 14 years of its operation, 110,000 Jews immigrated to Palestine. In 1945 reports of the Holocaust with its 6 million Jewish killed, caused many Jews in Palestine to turn openly against the British Mandate, and illegal immigration escalated rapidly as many Holocaust survivors joined the Aliyah. After Aliyah Bet, the process of numbering or naming individual aliyot ceased, but immigration did not. A major wave of Jewish immigration, mainly from post-Holocaust Europe and the Arab and Muslim world took place from 1948 to 1951. In three and a half years, the Jewish population of Israel, which was 650,000 at the state's founding, was more than doubled by an influx of about 688,000 immigrants. In 1949, the largest-ever number of Jewish immigrants in a single year - 249,954 - arrived in Israel. This period of immigration is often termed kibbutz galuyot (literally, ingathering of exiles), due to the large number of Jewish diaspora communities that made aliyah. However, kibbutz galuyot can also refer to aliyah in general. This resulted in a period of austerity. To ensure that Israel, which at that time had a small economy and scant foreign currency reserves, could provide for the immigrants, a strict regime of rationing was put in place. Measures were enacted to ensure that all Israeli citizens had access to adequate food, housing, and clothing. Austerity was very restrictive until 1953; the previous year, Israel had signed a reparations agreement with West Germany, in which the West German government would pay Israel as compensation for the Holocaust, due to Israel's taking in a large number of Holocaust survivors. The resulting influx of foreign capital boosted the Israeli economy and allowed for the relaxing of most restrictions. The remaining austerity measures were gradually phased out throughout the following years. When new immigrants arrived in Israel, they were sprayed with DDT, underwent a medical examination, were inoculated against diseases, and were given food. The earliest immigrants received desirable homes in established urban areas, but most of the immigrants were then sent to transit camps, known initially as immigrant camps, and later as Ma'abarot. Many were also initially housed in reception centers in military barracks. By the end of 1950, some 93,000 immigrants were housed in 62 transit camps. The Israeli government's goal was to get the immigrants out of refugee housing and into society as speedily as possible. Immigrants who left the camps received a ration card, an identity card, a mattress, a pair of blankets, and $21 to $36 in cash. They settled either in established cities and towns, or in kibbutzim and moshavim. Many others stayed in the Ma'abarot as they were gradually turned into permanent cities and towns, which became known as development towns, or were absorbed as neighborhoods of the towns they were attached to, and the tin dwellings were replaced with permanent housing. In the mid-1950s, a smaller wave of immigration began from North African countries such as Morocco, Tunisia, Algeria, and Egypt, many of which were in the midst of nationalist struggles. Between 1952 and 1964, some 240,000 North African Jews came to Israel. During this period, smaller but significant numbers arrived from other places such as Europe, Iran, India, and Latin America. In particular, a small immigration wave from Poland, known as the "Gomulka Aliyah", took place during this period. From 1956 to 1960, Poland permitted free Jewish emigration, and some 50,000 Polish Jews immigrated to Israel. A mass emigration was politically undesirable for the Soviet regime. The only acceptable ground was family reunification, and a formal petition ("вызов", vyzov) from a relative from abroad was required for the processing to begin. Often, the result was a formal refusal. The risks to apply for an exit visa compounded because the entire family had to quit their jobs, which in turn would make them vulnerable to charges of social parasitism, a criminal offense. Because of these hardships, Israel set up the group Lishkat Hakesher in the early 1950s to maintain contact and promote aliyah with Jews behind the Iron Curtain. The number of non-Jews among the immigrants from the former USSR has been constantly rising ever since 1989. For example, in 1990 around 96% of the immigrants were Jews and only 4% were non-Jewish family members. However, in 2000, the proportion was: Jews (includes children from non-Jewish father and Jewish mother) - 47%, Non-Jewish spouses of Jews - 14%, children from Jewish father and non-Jewish mother - 17%, Non-Jewish spouses of children from Jewish father and non-Jewish mother - 6%, non-Jews with a Jewish grandparent - 14% & Non-Jewish spouses of non-Jews with a Jewish grandparent - 2%. Following the Russian invasion of Ukraine, Ukrainian Jews making aliyah from the Ukraine reached 142% higher during the first four months of 2014 compared to the previous year. In 2014, aliyah from the former Soviet Union went up 50% from the previous year with some 11,430 people or approximately 43% of all Jewish immigrants arrived from the former Soviet Union, propelled from the increase from Ukraine with some 5,840 new immigrants have come from Ukraine over the course of the year. In Venezuela, growing antisemitism in the country, including antisemitic violence, caused an increasing number of Jews to move to Israel during the 2000s. For the first time in Venezuelan history, Jews began leaving for Israel in the hundreds. By November 2010, more than half of Venezuela's 20,000-strong Jewish community had left the country. From 2000 to 2009, more than 13,000 French Jews immigrated to Israel, largely as a result of growing anti-semitism in the country. A peak was reached in 2005, with 2,951 immirgants. However, between 20–30% eventually returned to France. After the election of Nicolas Sarkozy, French aliyah dropped due to the Jewish community's comfort with him. In 2010 only 1,286 French Jews made aliyah. By 2012, some 200,000 French citizens live in Israel. During the same year, following the election of François Hollande and the Jewish school shooting in Toulouse, as well as ongoing acts of anti-semitism and the European economic crisis, an increasing number of French Jews began buying property in Israel. In August 2012, it was reported that anti-semitic attacks had risen by 40% in the five months following the Toulouse shooting, and that many French Jews were seriously considering immigrating to Israel. In 2013, 3,120 French Jews immigrated to Israel, marking a 63% increase over the previous year. In the first two months of 2014, French Jewish aliyah increased precipitously by 312% with 854 French Jews making aliyah over the first two months. Immigration from France throughout 2014 has been attributed to several factors, of which includes increasing antisemitism, in which many Jews have been harassed and attacked by a fusillade of local thugs and gangs, a stagnant European economy and concomitant high youth unemployment rates. During the first few months of 2014, The Jewish Agency of Israel has continued to encourage an increase of French aliyah through aliyah fairs, Hebrew-language courses, sessions which help potential immigrants to find jobs in Israel, and immigrant absorption in Israel. A May 2014 survey revealed that 74 percent of French Jews consider leaving France for Israel where of the 74 percent, 29.9 percent cited anti-Semitism. Another 24.4 cited their desire to “preserve their Judaism,” while 12.4 percent said they were attracted by other countries. “Economic considerations” was cited by 7.5 percent of the respondents. By June 2014, it was estimated by the end of 2014 a full 1 percent of the French Jewish community will have made aliyah to Israel, the largest in a single year. 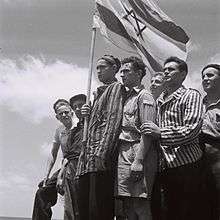 Many Jewish leaders stated the emigration is being driven by a combination of factors, including the cultural gravitation towards Israel and France’s economic woes, especially for the younger generation drawn by the possibility of other socioeconomic opportunities in the more vibrant Israeli economy. During the Hebrew year 5774 (September 2013 - September 2014) for the first time ever, more Jews made Aliyah from France than any other country, with approximately 6,000 French Jews making aliyah, mainly fleeing rampant antisemitism, pro-Palestinian and anti-Zionist violence and economic malaise with France becoming the top sending country for aliyah as of late September 2014. In January 2015, events such as the Charlie Hebdo shooting and Porte de Vincennes hostage crisis created a shock wave of fear across the French Jewish community. As a result of these events, the Jewish Agency planned an aliyah plan for 120,000 French Jews who wish to make aliyah. In addition, with Europe's stagnant economy as of early 2015, many affluent French Jewish skilled professionals, businesspeople and investors have sought Israel as a start-up haven for international investments, as well as job and new business opportunities. In addition, Dov Maimon, a French Jewish émigré who studies migration as a senior fellow at the Jewish People Policy Institute, expects as many as 250,000 French Jews to make aliyah by the year 2030. Hours after an attack and an ISIS flag was raised on a gas factory near Lyon where the severed head of a local businessman was pinned to the gates on June 26, 2015, Immigration and Absorption Minister Ze’ev Elkin strongly urged the French Jewish community to move to Israel and made it a national priority for Israel to welcome the French Jewish community with open arms. Immigration from France is on the rise: in the first half of 2015, approximately 5,100 French Jews made aliyah to Israel marking 25% more than in the same period during the previous year when about 7,000 made aliyah during all of 2014, indicating that about 10,000 should be expected for the full year of 2015. With the November 2015 Paris attacks committed by suspected ISIS affiliates in retaliation for Opération Chammal, more than 80 percent of French Jews are considering making aliyah as much of the French populace realize that not just Jews but French people in general are now indiscriminate targets of jihadist terrorism. According to the Jewish Agency, nearly 6500 French Jews have made aliyah as of mid November 2015 and it is estimated that 8000 French Jews will settle down in Israel by the end of 2015. More than 200,000 North American immigrants live in Israel. There has been a steady flow of immigration from North America since Israel’s inception in 1948. Several thousand American Jews moved to Mandate Palestine before the State of Israel was established. From Israel's establishment in 1948 to the Six-Day War in 1967, aliyah from the United States and Canada was minimal. In the 1950s, 6,000 North American Jews arrived in Israel, of whom all but 1,000 returned. Record numbers arrived in the late 1960s after the Six-Day War, and in the 1970s. Between 1967 and 1973, 60,000 North American Jews immigrated to Israel. However, many of them later returned to their original countries. In early 2007 Haaretz reported that aliyah for the year of 2006 was down approximately 9% from 2005, "the lowest number of immigrants recorded since 1988". The number of new immigrants in 2007 was 18,127, the lowest since 1988. Only 36% of these new immigrants came from the former Soviet Union (close to 90% in the 1990s) while the number of immigrants from countries like France and the United States is stable. Some 15,452 immigrants arrived in Israel in 2008 and 16,465 in 2009. On October 20, 2009, the first group of Kaifeng Jews arrived in Israel, in an aliyah operation coordinated by Shavei Israel. Shalom Life reported that over 19,000 new immigrants arrived in Israel in 2010, an increase of 16 percent over 2009. In 2013, the office of the Prime Minister of Israel announced that some people "wishing to immigrate to Israel could be subjected to DNA testing to prove their Jewishness". A Foreign Ministry spokesman said genetic testing program is based on the recommendations of Nativ, an Israeli government organization that has helped Jews from Russia and rest of the former Soviet Union with Aliyah since the 1950s. The number of immigrants since 1882 by period, continent of birth, and country of birth is given in the table below. Continent of birth and country of birth data is almost always unavailable or nonexistent for before 1919. ↑ ""Aliyah": The Word and Its Meaning". 2005-05-15. Retrieved 2013-04-29. ↑ "Israel Focus-Migration". Focus-migration.de. Retrieved 2013-04-29. 1 2 "400 olim arrive in Israel ahead of Independence Day - Israel Jewish Scene, Ynetnews". Ynetnews.com. Retrieved 2013-04-29. ↑ DellaPergola, Sergio (2014). Dashefsky, Arnold; Sheskin, Ira, eds. "World Jewish Population, 2014". Current Jewish Population Reports. The American Jewish Year Book (Dordrecht: Springer). 11: 5–9, 16–17. Retrieved January 3, 2016. Israel’s Jewish population (not including about 348,000 persons not recorded as Jews in the Population Register and belonging to families initially admitted to the country within the framework of the Law of Return) surpassed six million in 2014 (42.9% of world Jewry). ↑ "Move On Up, The Forward". Retrieved 2013-04-29. ↑ Golinkin, David. "Is It A Mitzvah To Make Aliyah?". Responsa in a Moment. Schechter Institute of Jewish Studies. Retrieved 9 October 2012. ↑ Leff, Barry. "The Mitzvah of Aliyah". www.kefintl.com. Retrieved 26 December 2013. ↑ "ץראב םתושרתשהו א"רגה ידימלת". ץראב םתושרתשהו א"רגה ידימלת. Daat. 2008-08-02. ↑ "עליית החסידים ההמונית לא"י". ץראב םתושרתשהו א"רגה ידימלת. Daat. 2008-08-02. ↑ "יהדות הגולה והכמיהה לציון, 1840–1240". Tchelet. Tchelet. 2008-08-02. ↑ Ilani, Ofri (2008-01-06). "The Messiah brought the first immigrants". Haaretz.com. Retrieved 2013-04-29. ↑ Hizky Shoham (2012). "From "Great History" to "Small History": The Genesis of the Zionist Periodization". Israel Studies. 18 (1): 31–55. doi:10.2979/israelstudies.18.1.31. ↑ M., Akiva. "The Real Aliyah". Retrieved 9 October 2012. ↑ The Origins of Israel, 1882–1948: A Documentary History, eds. Eran Kaplan, Derek J. Penslar. University of Wisconsin Press. Retrieved 2013-04-29. ↑ "Moving to Israel?". Jacob Richman. jr.com. 2008-08-02. ↑ "Transfer Agreement". Transfer Agreement. Retrieved 2013-04-29. ↑ Yoav Gelber, "The Historical Role of Central European Immigration to Israel", Leo Baeck Institute Year Book 38 (1993), p. 326 n. 6. ↑ "Knesset Rules of Procedure - PART A (2)". Knesset.gov.il. Retrieved 2013-04-29. ↑ ""On Eagles' Wings" – Aliyah from Yemen (1949)". Ministry of Immigrant Absorption. Retrieved 9 October 2012. ↑ Schwartz, Adi (January 4, 2008). "All I Wanted was Justice". Haaretz. ↑ "MLibrary Digital Collections: King James Bible: Exodus 19:4: Retrieved 23 June 2012". Quod.lib.umich.edu. Retrieved 2013-04-29. ↑ "MLibrary Digital Collections: King James Bible: Isaiah 40:31: Retrieved 23 June 2012". Quod.lib.umich.edu. Retrieved 2013-04-29. ↑ "Aliyah". mfa. mfa.gov.il. 2008-08-02. 1 2 Alexeyeva, Lyudmila (1992). История инакомыслия в СССР [The History of Dissident Movement in the USSR] (in Russian). Vilnius: Vest'. OCLC 489831449. Retrieved October 7, 2012. 1 2 3 Lazin, Fred A. (July 2005). "Refugee Resettlement and 'Freedom of Choice': The Case of Soviet Jewry". Center for Immigration Studies. Retrieved 9 October 2012. 1 2 Montalbano, William D. (2 June 1988). "Israel Troubled by Soviet Jews' 'Dropout' Rate". Los Angeles Times. Retrieved 7 October 2012. ↑ Levy, Tracy (10 September 2009). "After 20 years, why has Russian immigration to Israel stagnated?". Haaretz. Retrieved 7 October 2012. ↑ Jewish Intermarriage Around the World - Shulamit Reinharz, Sergio Della Pergola. Google Books. 2011-12-31. Retrieved 2013-04-29. ↑ "Ukrainian Jews immigrate to Israel amid growing unrest". May 4, 2014. Retrieved 12 May 2014. ↑ "Ukrainian Aliyah to Israel Up Significantly". Shalom Life. May 5, 2014. Retrieved 15 May 2014. ↑ "Jews preparing to evacuate Ukraine". Windfaith. 4 May 2014. Retrieved 15 May 2014. ↑ "Aliyah Hits Ten-Year High: Approximately 26,500 New Immigrants Arrived in Israel in 2014". The Jewish Agency. Jan 2, 2015. Retrieved 28 June 2015. ↑ "Aliyah Figures at Highest in a Decade; France Leads the Way". Arutz Sheva. December 31, 2014. Retrieved 28 June 2015. ↑ Mozgovaya, Natasha; Papirblat, Shlomo (20 November 2010). "In Venezuela, remarks like 'Hitler didn't finish the job' are routine". Haaretz. Retrieved 7 October 2012. ↑ Shefler, Gil (1 September 2010). "Jewish community in Venezuela shrinks by half". The Jerusalem Post. Retrieved 7 October 2012. ↑ "Le chiffre de l'alya des Juifs de France ne décolle pas!" (in French). terredisrael.com. Retrieved 9 October 2012. ↑ Podolsky, Philip (2012-08-10). "France reportedly draws up plans to evacuate 200,000 Franco-Israelis in case of war". The Times of Israel. Retrieved 2013-04-29. ↑ Petersberg, Ofer (23 May 2012). "Is crisis bringing French Jews to Israel?". Ynetnews. Retrieved 7 October 2012. ↑ "French Anti-Semitic Attacks Up by 40 Percent". CBN. 30 August 2012. Retrieved 7 October 2012. ↑ "Immigration to Israel Rises by 7% — Led by French". Forward. December 29, 2013. Retrieved 11 March 2014. ↑ Sam Sokol (2014-03-30). "Jewish Agency touts French aliyah increase". Retrieved 5 April 2014. ↑ "2014 Sees Sharp Rise in French Immigration to Israel". The Forward Association, Inc. Retrieved 5 April 2014. ↑ Yaakov Levi (30 March 2014). "312% Rise in French Aliyah in First Months of 2014". Retrieved 5 April 2014. ↑ Marcus Dysch (March 31, 2014). "Hate fears push French aliyah to new high". ↑ Josh Hasten (April 7, 2014). "French anti-Semitism and French aliyah skyrocket on parallel tracks". Retrieved 7 April 2014. ↑ "74% of French Jews Consider Leaving Country". Forward. Retrieved 23 May 2014. ↑ Moshe Cohen (2014-06-22). "Jewish Agency: 'Dramatic' Rise in French, Ukraine Aliyah". Arutz Sheva. Retrieved 3 July 2014. ↑ Dan Bilefsky (June 20, 2014). "Number of French Jews Emigrating to Israel Rises". The New York Times. Retrieved 3 July 2014. ↑ Ronen, Gil (22 September 2014). "Ahead of New Year, Aliyah Hits 5-Year High". Israel National News. Retrieved 22 September 2014. ↑ "Jewish Agency-affiliated think tank composes aliyah plan for 120,000 French Jews". JTA News. January 25, 2015. ↑ "Aliyah plan prepares for 120,000 French Jews". JWeekly. January 29, 2015. Retrieved 13 February 2015. 1 2 "Israel Gains With Influx of French Jewish Entrepreneurs". Bloomberg. January 22, 2015. Retrieved 13 February 2015. ↑ Raziye Akkoc, and Henry Samuel (26 June 2015). "Grenoble attack: Man found beheaded and Islamist flag raised above factory in France - latest". The Telegraph. Retrieved 28 June 2015. ↑ "Come home!' Israeli minister urges French Jews amid terror wave". Times of Israel. June 26, 2015. Retrieved 28 June 2015. ↑ "Israel's Absorption Ministry Plans for Influx of French Jews". Algemeiner. 21 June 2015. Retrieved 28 June 2015. ↑ "Does a gritty ex-cop's move to Israel symbolize the end for France's Jews?". The Times of Israel. 28 October 2015. Retrieved 30 October 2015. ↑ Cohen, Shimon (16 November 2015). "80% of French Jews considering aliyah". Arutz Sheva. Retrieved 17 November 2015. ↑ Amanda Borschel-Da (15 November 2015). "French now realizing they, and not just Jews, are targets". Times of Israel. Retrieved 17 November 2015. ↑ Shitbon, Shirli (14 November 2015). "For French Jews, a New Reality: Under Attack for Being French, Not Jewish". Haaretz. Retrieved 17 November 2015. ↑ Bassist, Rina (17 November 2015). "Steady increase in number of French Jews making aliya". Jerusalem Post. Retrieved 17 November 2015. ↑ "French Jews head to Israel in the wake of Paris terror attacks". IB Business Times. 17 November 2015. Retrieved 17 November 2015. ↑ "Dozens of French Jews immigrate to Israel after Paris attacks". Times of Israel. 17 November 2015. Retrieved 17 November 2015. ↑ Berman, Daphna (2007-06-01). "The 40th anniversary of the Six-Day War / Rate of return - Israel News | Haaretz Daily Newspaper". Haaretz.com. Retrieved 2013-04-29. ↑ "U.S. aliyah highest in 36 years". JTA Article. 2009-12-29. Retrieved 2013-04-29. ↑ Schwartzapfel, Beth (2 March 2010). "Not just Zionism: Lousy economy pushes more U.S. Jews to move to Israel". Haaretz. Retrieved 7 October 2012. ↑ Stone, Andrea (22 November 2004). "As attacks rise in France, Jews flock to Israel". USA Today. Retrieved 10 October 2012. ↑ "Nefesh B. Nefesh". nbn.com. 2008-08-02. ↑ Bassok, Moti (21 February 2007). "Aliyah sees 9% dip from 2005". Haaretz. Retrieved 10 October 2012. ↑ "הודעות לעיתונות". Cbs.gov.il. Retrieved 2013-04-29. ↑ "2010 Was a Very Good Year for Making Aliyah". Shalomlife.com. Retrieved 2013-04-29. ↑ Descendants of Chinese Jews arrive in Israel, Jewish telegraphic Agency news service, 10//26/09. ↑ Kaifeng Jews study in Israeli yeshiva, On road to full Orthodox conversion, seven dedicated Chinese Jews plan to exchange their visitor permits for aliyah visas to make their trip to Israel a permanent one, by Rebecca Bitton, 08/24/10. ↑ "Immigration to Israel increases by 17 percent in 2009". Shalomlife.com. Retrieved 2013-04-29. ↑ Zeiger, Asher. "Russian-speakers who want to make aliya could need DNA test". Times of Israel. Retrieved 3 February 2015. ↑ Goldsceider, Calvin (January 1974). "American Aliya / Sociological and Demographic Perspectives". Berman Jewish Policy Archive. Behrman House Publishers. Retrieved 11 October 2012. ↑ "First Aliya". Retrieved September 9, 2013. ↑ The Divided Self: Israel and the Jewish Psyche Today - David J. Goldberg - Google Books. Books.google.com. 2011-03-15. Retrieved 2013-04-29. ↑ "Statistical Abstract of Israel 2012 - No. 63 Subject 4 - Table No. 2". Cbs.gov.il. Retrieved 2013-04-29. Morgenstern, Arie (2002). "Dispersion and the Longing for Zion, 1240-1840". Azure. Shalem Center (12): 71–132. Retrieved 7 October 2012. Shuval, Judith T. (March 1998). "Migration To Israel: The Mythology of "Uniqueness"". International Migration. International Organization for Migration. 36 (1): 3–26. doi:10.1111/1468-2435.00031. PMID 12293507. Ben-Gurion, David (19 July 1967). "Ben Gurion on the Pioneer Generations and the Need for U.S. Immigration". Shapell Manuscript Foundation. Retrieved 6 November 2012. Ben-David, Laura (2006). Moving Up: An Aliyah Journal. Mazo Publishers. ISBN 978-965-7344-14-9.